French-German violist Beatrice Muthelet grows up in Versailles before moving to Israel age fifteen and joining the prestigious Telma Yelin High School of Arts. She becomes bursary of the American Israel Foundation and receives a solid education in violin and viola from her teacher Chaim Taub , also enjoying master classes from Isaac Stern and Shlomo Mintz . At age nineteen she decides to further her studies in the USA and becomes Pinkas Zuckerman’s first viola student in the Manhattan school of Music, on a full scholarship. Aged twenty two she returns to Europe and joins the Berlin Philharmonic Orchestra, first at the Karajan Academy and then as an intern for two more years. 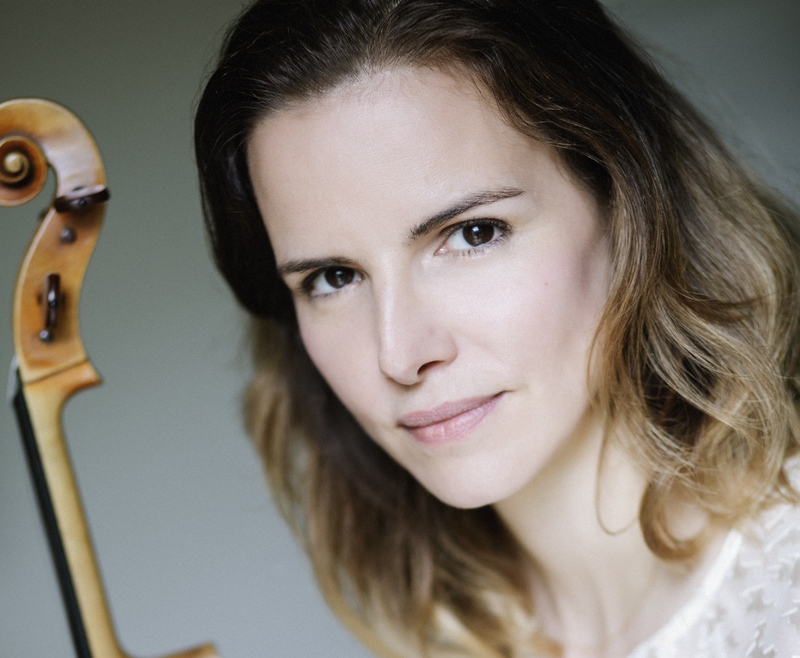 In 2001 she joins the Mahler Chamber Orchestra as Principal Violist and at Claudio Abbado’s personal invitation also becomes a founding member of the Lucerne Festival Orchestra. Since then she is often invited all over the world as guest leader in orchestras such as Gewandhaus Leipzig, Munich Philharmonic , Bamberger Symphoniker , Swedish Radio Orchestra, Filarmonica Della Scala de Milano , to name a few. Her main passion remains chamber music and she founds the Capuçon quartet , with brothers Renaud and Gautier Capuçon ,with whom she plays until 2013 in Europes most prestigious Halls and Festivals and record 2 CDs produced by EMI. Other Chamber Music partners include Martha Argerich, Steven Isserlis, Christian Tezlaff, Isabelle Faust, Patricia Kopatchinskaya , Victoria Mullova, Maxim Vengerov, Hélène Grimaud , Itamar Golan , Lars Vogt and many more. In March 2017 she releases her first Solo Album , with German Pianist Oliver Triendl, of Harald Genzmer’s Integral Viola Works, it got 5 stars in Fonofoeum magazine and has been featured in Deutschlandfunk as « die besondere Aufnahme ».